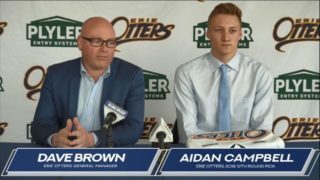 Erie, Pennsylvania – Erie Otters General Manager Dave Brown announced today that first round CHL Import pick Stephane Patry has committed to the team and agreed to an Ontario Hockey League standard player agreement. Patry, a 5’10”, 170-pound forward, appeared in 34 games with Geneve in the 2016-17 season, recording seven goals and 22 points, while adding another ten points in eight playoff games. At the 2017 Ivan Hlinka Memorial Cup this past August, Patry suited up in all four of Switzerland’s games and recorded one assist. 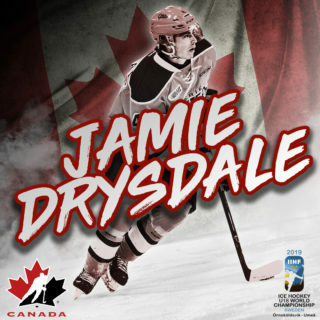 In April 2017, the left-handed shot played in five games for Switzerland’s U18 World Junior Championship team tallying one assist. The 17-year-old won the Elite Novizen league championship with his Geneve-Servette U17 team in the 2015-16 season. Patry is eligible for the 2018 NHL Entry Draft. Brown also announced the reassignment of Gianluca Fuoco, and release of Mitchell Mendonca. Fuoco was claimed off waivers last week from the Saginaw Spirit. 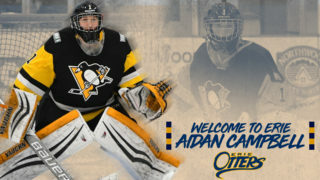 He appeared in two preseason games with the Otters over the weekend tallying seven penalty minutes. Mendonca came to Erie as a free agent training camp invite. 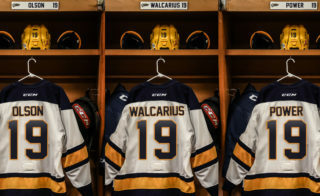 The former Belleville Bulls draft pick suited up for five preseason games with the Otters, scoring a goal and picking up five penalty minutes. The Erie Otters open the 2017-18 regular season on the road when the visit the Peterborough Petes Thursday, September 21st at 7:05pm as part of OHL Opening Week. 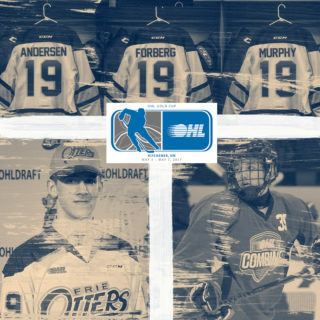 They’ll open their home schedule Saturday, September 30th when the Otters host the Kitchener Rangers at the Erie Insurance Arena at 7pm, featuring the raising of the 2017 OHL Championship Banner.